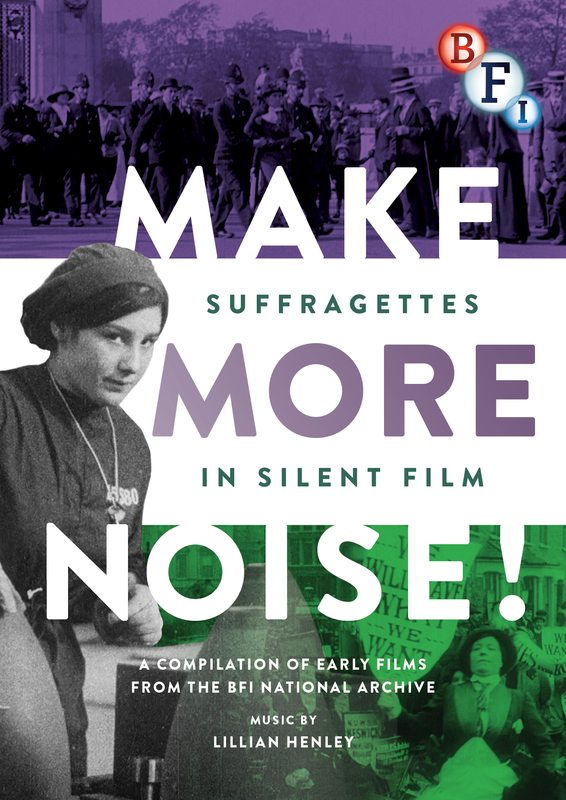 Complementing the release of Sarah Gavron's Suffragette, this selection of silent films from the BFI National Archive shows how suffragettes were portrayed on the cinema screen while their battles were being waged on the streets outside. Appalling behaviour, noise, clamour and violence are traits not conventonally associated with British femininity, but for the first fifteen years of the 20th century these fearless women battled with the authorities and society at large to make themselves heard. Cinema was born just as the campaign was gathering momentum and the suffragettes made it their business to get in front of the cameras. This selection of films from the BFI National Archive shows how suffragettes were portrayed on the cinema screen while their battles were still been waged on the streets outside. Make More Noise! combines documentary footage of the suffragettes' public activities with comedy films of the period, which joyously pushed the boundaries of what was considered acceptable behaviour. These gloriously anarchic pre-war comedies are full of bright sparks like the Tilly girls (starring Alma Taylor and Chrissie White) who gleefully disobey society’s strictures. Women are seen acting like men, dressing in men’s trousers and even leaving the men at home minding the babies. The films reveal how girls and women were already acting differently, had higher aspirations and expected more freedom than their grandmothers could have imagined, going against conventional wisdom that female emancipation was a result of war-time changes.